2015 Grand Design Reflection 303RLS Fifthwheel with all options including fireplace surround sound. Automatic Satellite dish, boat hitch. Please call 780-753-0912 to view. 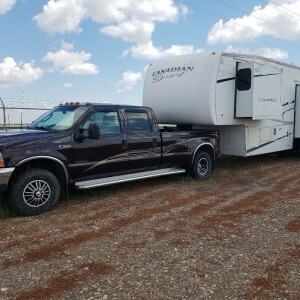 2007 Citation Supreme 1050 Truck Camper. polar package, complete with "Fast Guns" tie downs and 4ft hitch extension. AC, queen bed, full size fridge, shower, TV DVD player. 2ft slide out. Everything works, ready to hit the road. Please call 780-913-7190 for mreo information. 2006 Gulstream Conquest Class-C Motorhome. Kodiak 5500 chassis with 8.1 -V8 Big Block. Made for towing Decent on fuel now its broke in only 15,000 miles. 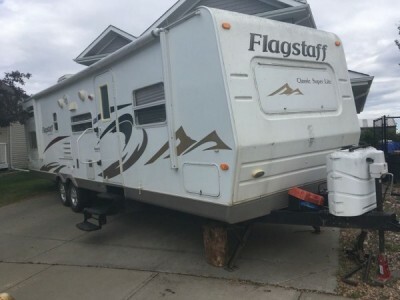 Bought new in 2006 used a fair bit had seasonal camp spot till this year. Not driven around a lot but towns boat or quad trailer like they are not there. Very good condition throughout. Still like new. Can sleep 10 but you would have to be nuts to put that many in there. 5500 onan generator. Hydraulic leveling. Large fridge. Skylight in bathroom. 45 gal fresh water. Heated basement. Motorbike rack on back. Fresh sealed rubber roof. 3 TVs DVD. Surround sound. Outside entertainment unit. Solar charge panel system. May negotiate a bit or accept a cheaper trade. Please call 780-554-0457 for more information. 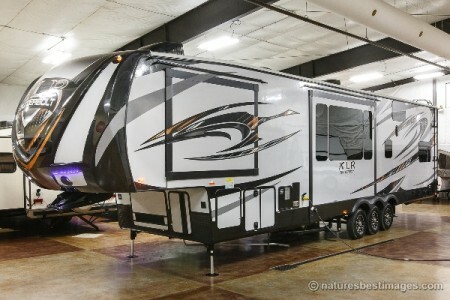 2014 Keystone Laredo 292RL Fifthwheel. Great camper for a mature couple. Lots of storage, big kitchen with a full size fridge. Bathroom hosts a residential size shower. Master bedroom has a king size bed and huge closet. The living room has a queen sized hide a bed, and two comfy recliners. Includes dining table with extra leaf and four chairs. Includes hitch, bar b q, outdoor mat and lots of sewer hose. Pulled legally with a 2500 GMC truck. Located in Indian Head at the campground. Currently set up on a seasonal site. Available after Jly 5th. May consider a smaller older camper as partial trade. Please call 306-736-8011 for more info. 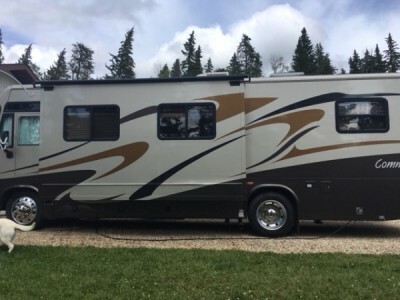 2007 Forest River Canadian Sport Fifthwheel with A/C, good furnace, new awning, canvas new flooring, new kitchen tap, air conditioning and air compressor, fuel station, tri axle, air suspension hitch. Please call 403-635-0509 for more info. 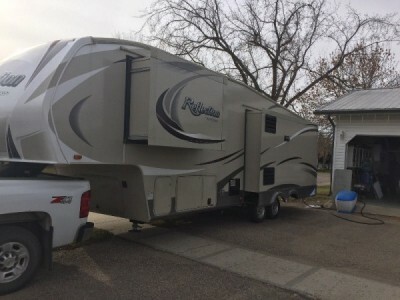 2015 Keystone Cougar 338FAT Fifthwheel. Trailer has leather couch and chairs lots of storage underneath opposing slides and bed room slide 4 corner auto level jacks with remote for jacks awning and lights rear deck with awning and mini fridge in the back along with TV island sink big shower has rear hitch with 7 pin lighting still has warranty pulls great needs nothing. Just wanting a motor home instead. Please call 306-460-6725 to view. 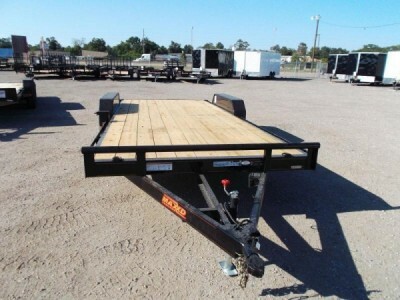 2013 Double A Flatdeck 24Ft Trailer. 7000 lbs. Please call 780-245-6850 to view. 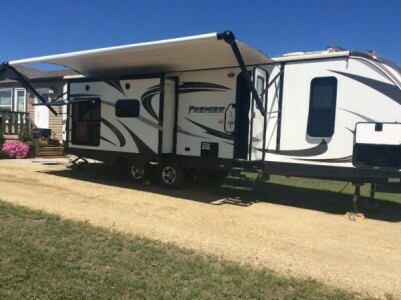 2012 Forest River Sunseeker 3010DS Fifthwheel. 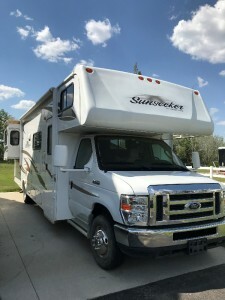 2012 Ford Chassis, Solar panels, inverter, qty 2 - 6v DC batteries, LP 10 gals, Electric awning 15ft, 4000w generator, 2 electric slides, 2 TVs, sleeps 8, seat belts 8, bunk above drivers cab, Water heater 6 gals, Factory back up camera, 220" wheel base, Fuel tank 55 gals, hitch rating 5000/500 lbs, 32ft long, winter package, external radio and shower. Please call 780-245-6850 to view. 2014 Coachmen Freelander 21QB Class-A Motorhome. Power awning Sat TV. Purchased new in 2015. Exterior ent centre. Still very new. Please call 403-575-0955 to view. 2010 Forest River Flagstaff 31QBSS Trailer. Flagstaff 2010 31’ Classic Super Lite Quad bunk with kitchen table and couch slide out. 6475lbs unloaded. Power awning, side bbq fed off of main tanks, furnace, A/C, indoor and outdoor speaker system, tv, new battery, etc. Honda 3000 generator avail for a deal with trailer for 1700$. In Fort Saskatchewan. Please call 780-934-3411 to view. 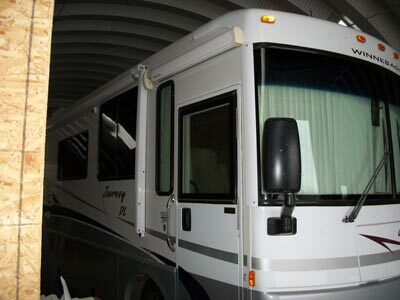 2000 Triple E Commander 35Ft Class-A Motorhome. 6.8 litre Ford V10, one slide and fully loaded in excellent condition. All new tires and new windshield, completely P.D.Id $35,900 or best offer. Serious inquiries only, NO EMAILS PLEASE. Please call 306-717-3180 to view. 2000 Monaco Knight 36Ft Class-B Motorhome. cummins 325hp engine with allison transmission. tires like new. sleeps 4. 1 slide out. Power entry step. Tv in bedroom and living area. Diesel generator. Power awning. Pilot and co pilot seats. Power steering. Tilt/ telescope steering wheel. Rear vision system. Glass shower door with brass fixtures. Toilet and sprayer. 3 burner stove. Oak cabinets. Brass lights. Hydraulic lifting jacks. 4 door refrigerator. Space saver convection oven/ microwave. Please call 306-230-5573 to view. 2014 Coachmen Freedom Express 320BDHS Trailer. Sleeps 9, 3 slides, outdoor kitchen and shower, power awning, a/c. Used sparingly the last 2 years. Has been towed a total of 110 Kms and parked on a private lot since new. 1/2 ton towable, equalizer hitch included. Please call 306-533-0797 for more info. 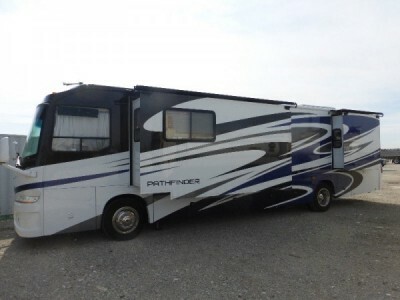 2007 Coachmen Pathfinder 377DS Class-A Motorhome. 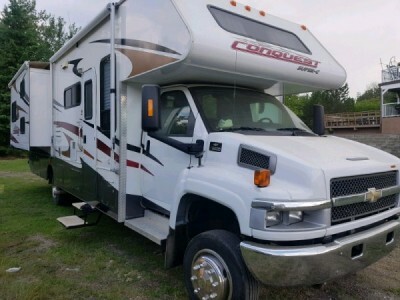 300 hp cummins diesel pusher, well maintained ,with new mattress, new Michlen 22.5 tires, new coach batteries. I purchased this coach for one trip this year ,and it will be available the first week in August. I searched all the used inventory and found this rig to be the best of the lot, saving new buyer time and effort. With its low mileage and good condition. Onan 7500 genset with less than 500 hrs. Michlen 22.5 tires NEW. New high end mattress. Roof seal maintenance completed. New solar panels installed. All accessories for power and water hook ups included. Please call 403-828-4109 to view. 2002 Winnebago Journey Class-A Motorhome with a chipped CAT turbo (400 HP) pass the semis while pulling your truck. Will e-mail photos, Stored inside last ten years, last trip to Ottawa 10 years back. Please call 306-536-1146 to view. 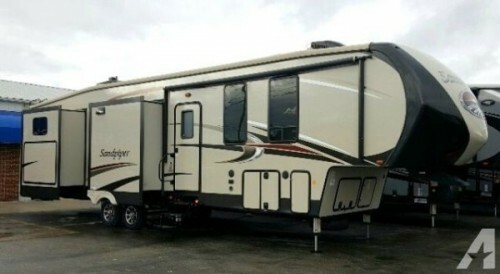 2016 Forest River Sandpiper 381RBOK Fifthwheel. You will be impressed from the minute you step foot inside the Sandpiper 381RBOK fifth wheel. This model features two full bathrooms, a bunk house, five slides, and so much space it is easy to entertain friends while away from home. You enter the fifth wheel you will find dual opposing slides in the kitchen/living area. To the left there is a slide with a refrigerator, three burner range, microwave, and overhead cabinet. Adjacent to the slide you will find a pantry, cabinet, and peninsula counter with a double kitchen sink. On the opposite side the slide has a tri-fold hide-a-bed sofa, overhead cabinet, and free standing table with chairs. There is even an entertainment center along one wall for your enjoyment. Step up to the bathroom and bedroom area. The bathroom has a toilet, walk-in shower with seat, medicine cabinet, and sink. In the front bedroom find a queen bed slide, shoe rack, dresser with TV hook up above, and a large wardrobe with shelves and it has even been washer/dryer prepped. 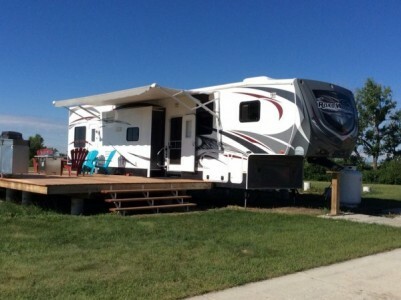 Head toward the rear of the fifth wheel and find a bunk house with dual opposing slides. The slide to the right has a twin bed with a bunk above and a trundle below. Across the room you will find that the slide has a twin bunk above and an entertainment center below. Storage can be found with the two wardrobes. Located in the very rear of this model is a full size bathroom with a tub, sink, medicine cabinet, toilet, and a private entry door from the outside. Please call 306-487-7102 for more info. 2012 Heartland Road Warrior 415 Toy Hauler. 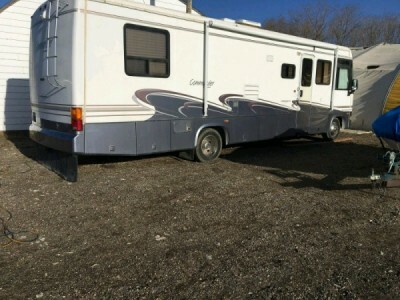 Fully loaded toy hauler, including 5500 Onan generator and winter cover. All the bells and whistles and ready for holidays! Please call 506-260-2700 to view. 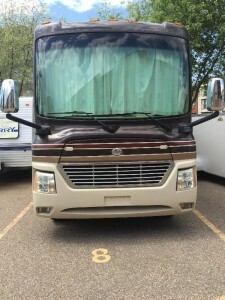 2006 Triple-E Commander 33Ft Class-A Motorhome. 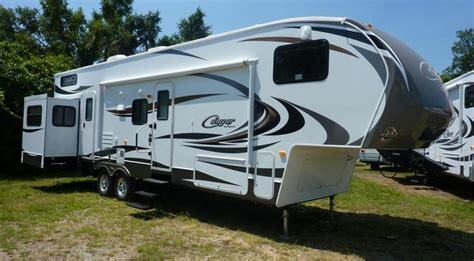 33 foot, immaculate motor home with 2 slides, v10 motor, A/C, 2 tv's, awning, Generator, 2 furnaces, built in vacuum and much more. This is a non smoking unit. Do not miss this one. Would be willing to take something in trade. Call 780-706-4390. 2016 Grand Design Reflection 318RS Fifthwheel. 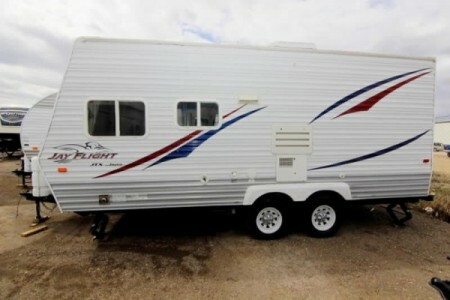 34ft, solar system, 3 slides, lots of storage, fireplace, double fridge, walk in closets, built trailer. Please call 306-741-0143 to view. 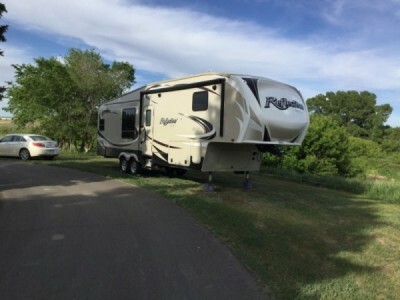 2012 Keystone Cougar 324RLB Fifthwheel. It has an Arctic package, so enclosed heated underbelly, good for -20 alone and double pane windows. 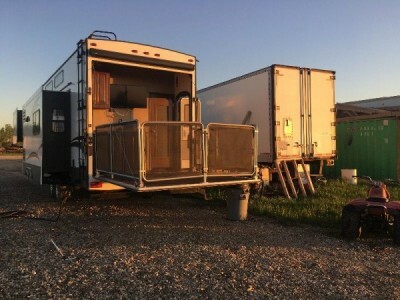 This trailer has 2 bedrooms, 1 full fairly spacious bathroom and 1 half bathroom in the back with access from the outside. This unit has 4 holding tanks. 1 for the grey water, 1 for the kitchen sink and 1 for each of the toilets. It is a super large holding capacity. I bought it brand new, so i am the only owner. It comes with a custom R18 skirting kit from kimber creations which I paid $4400 for and which I have used in a Fort Mac winter with no problems.The kit comes with slide out covers as well, but I’ve never got the snaps installed. I lived in this trailer for 2 months that winter the first year I bought it, after that it is been used recreationally barely once or twice a year. I have had warranty work on the A/C and got a brand new one installed 2 years ago. The stereo does not play DVDs, but has a radio, iPod plug and indoor/outdoor speakers. The trailer has an electric awning and electric front stands. It also has a remote with allows you to open the awning and slides from it. The front of the 5th wheel has a mirror so you can see the hitch when backing into it. All the appliances work, tires are good, brand new battery, it is clean and in good condition. No leaks, no problems. There is also a tray that folds out of the bumper for bike, generator or wood storage. I am open to offers, no trades please. Private Financing Available. Please call 780-297-7608 for more info. 2014 Prime Time Crusader 295RST Fifthwheel. 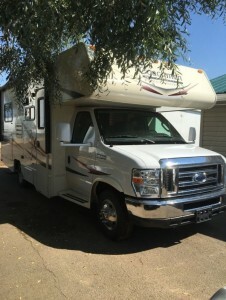 Full Financing available, Extended warranty Transaction, RV Insurance, and Nation wide shipping. 44,500 tow hitch in back, air ride on 5th wheel hitch, extra fridge in trailer. Camera in back of trailer, extra 4 years bumper to bumper warranty. 3 slides. Please call 306-539-1747 to view. 2002 Monaco Diplomat 38Ft Class-A Motorhome. Cummins Turbo Diesel 330 HP, 8.3L, engine exhaust brake; 6-speed Allison automatic, synthetic oil; on-board Onan diesel 7.5 QD; All above were fully serviced at 43,100 km (26,917 miles); new tires in 2017, HN230 Plus (ASR30), J18-ply, 275/70-R-22.5; 130 watt solar panel installed in 2013; 6 new batteries in 2014; new awning in 2010, 20ft remote control with drop-down privacy screen; Monaco Roadmaster 8H frame, 3/8" raised steel rail, 8 air-bags; back-up camera, tilt steering, heated remote mirrors, slide-out storage tray in basement, includes tow bar; power seats, washer/dryer combo, 4 dinette chairs, carpet & hardwood flooring, water filter, Sharp convection/microwave, 3-burner stove, Norcold 4-door fridge with ice-maker, 2 flat-screen TVs (new), new Queen bed, surround sound, 2 air conditioners with heat pumps; plenty of storage; comes with various household items. 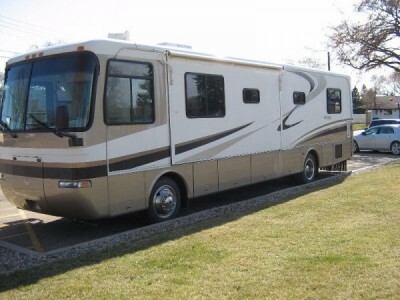 This motorhome was purchased in 2009 from the original owner who bought it new (off the dealers lot), in 2004. Please call 780-962-8971 for further details, or to arrange a viewing. 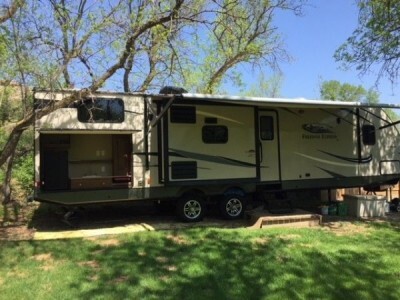 2015 Keystone Premier 30RIPR Trailer. Clear title of ownership. Financing available. 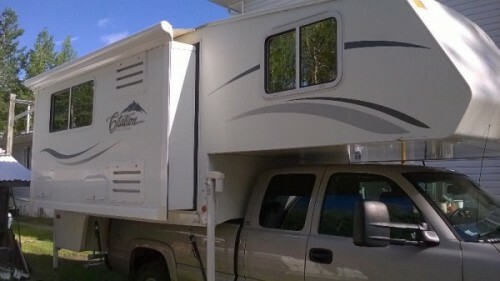 Excellent condition, 2 lg slide outs, AC, furnace, kitchen island with double sink, microwave, 4 burner stove, oven, plenty of cupboards, large fridge and freezer, 3 pc bath, TV, radio, CD and DVD, NEW mattress and plenty of cupboards and storage under bed, 6 gal water heater, sleeps 5/6, outdoor kitchen with small fridge, TV and accessible cupboard to inside, under bed storage accessible from outdoor, BBQ included and attaches at rear - has plumbed in propane. Electric 20ft awning, 4 levelling jacks, power jack on hitch, 2-12 v batteries, 2-20 lb propane tanks, dry weight 6500 lbs, shore power cable. Please call 780-812-5514 for more info. 2007 Jayco Jay Flight 23F Trailer. 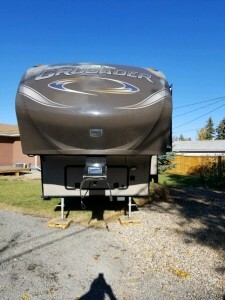 Located in Sundre Alberta complete with 5 new tires, new micro wave (Panasonic), rear heavy hitch for bicycle carrier or carrier for generator, awning, sleeps 6, Coleman Mach air conditioner and furnace, Norcold fridge electric & propane, memorex am/fm and dvd player, wedgewood 3 burner oven stove, 2 - 30 lb propane tanks, both carbon monoxide and smoke detecors, led 12V lights throughout, vacuum, toaster over, bbq. Please call 403-636-0790 to view. 2009 Monaco Safari Simba 33ft Class-A Motorhome. WorkHorse Chassis, 8.2 Litre Gas motor. Low KMS, 1 owner, Excellent Condition. 2 Power slides with awnings and Main awning is 15ft electric. 2 TVs with Satellite Dish. Queen Bed. Please call John 403-580-5986 at for more info. 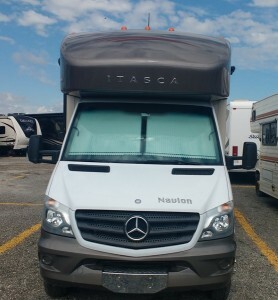 2014 Winnebago Itcasa Navion 24J Class-C Diesel Motorhome. Mercedes-Benz Sprinter Chassis with 3.0L 6-cylinder, 188-hp, turbo-diesel engine, 5-speed automatic tip-shift transmission. Fuel efficient and easy to maneuver. 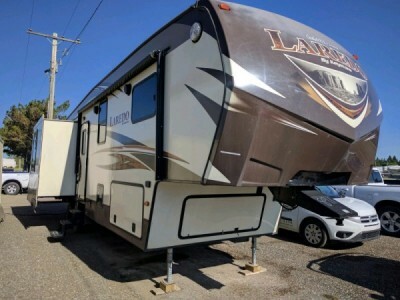 Rear corner bed, bathroom, central kitchen, Bench Mark booth dinette, 3.6kw generator, swivel front seats for extra seating, front cab over bed and more! Sleeps up to 6, 1 slide. Most popular Navion layout. 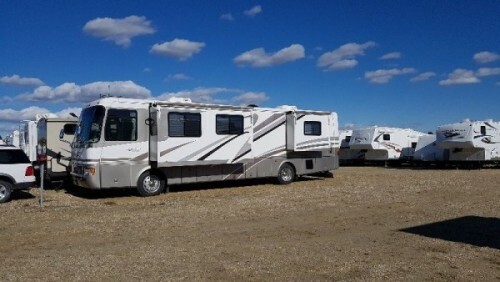 Spacious with one slide for long stays, diesel with great mileage (16 L/100 km for last 30K km) all the amenities; generator; TV; awning; convection oven; microwave and more.This price includes: new windshield; All Weather Tires for safe driving winter and summer; spare set of All Season tires; Aadco Tyvek cover ; Tiremaster tire monitoring system; braided tire valve connections for easy access; storage until September (a combined value over $2000); warranty until June 2019, Carfax report available. Excellent Condition Ready to Go. Please call 403-921-3687 to view. 2016 Open Range Light 315BHS Fifthwheel. Executive Package, Four Season Package, Ladder, 8 cu.ft. Fridge, Spare Tire, Fantastic Fan in Bedroom, French Doors to Bedroom and Bunkroom, Electric Fireplace, Lock Arm Stabilizers, Observation Camera, Power Rear Stab Jacks, Rear Storage Tray, 2 bathrooms, Bunkhouse with Jack and Jack bunks, TV, King U dinette, full shower, Only used 4 times, hardly any miles, easy parking-90 degree turning. Please call 306-869-8244 to view. 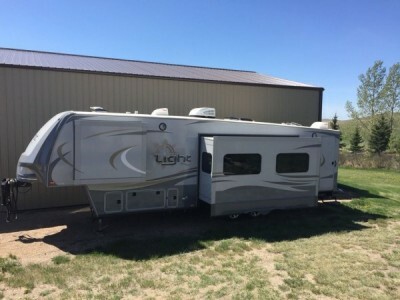 2007 Fleetwood Wilderness 295BHDS Fifthwheel. 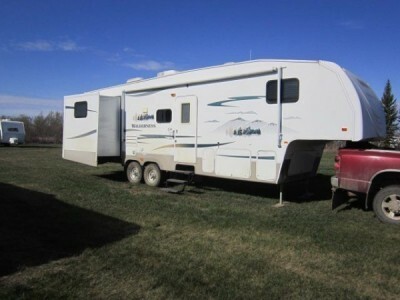 Bunk Beds in Rear Front, Queen Bedroom, Air Conditioned, 2 Slides, 18ft Awning. Please call 306-960-8846 to view. 2016 Forest River Thunderbolt XLR 415AMP Toy Hauler. 3 slides, 1 king size bed, 1 loft and 12ft of cargo space. As you enter via the 8ft spring assist ramp door at the back of this toy hauler fifth wheel, you enter 12ft of cargo space. This space includes an electric bed with a pass thru dinette beneath, washer/dryer prep, a side man door, and a loft with pass thru overhead storage over a portion of the cargo area. There is also access to a half bath with toilet, vanity sink and medicine cabinet within the cargo space. Moving into the living area from the cargo space, there is a pantry and shelves for storage to your left. A slide out along the entry side includes a closet, overhead cabinets, counter space, a three burner range with overhead microwave and a 4 door refrigerator. A kitchen island in the center of the room includes a double sink for easy clean up. Across the toy hauler, a second slide out provides theater seating. An entertainment center is along the front wall for easy viewing from any seat. Up the steps at the front, there is a side aisle bathroom with a cabinet, toilet, shower and vanity sink. The front private bedroom includes a king bed slide, a full front wall closet and a vanity opposite the bed with space to mount an optional TV above it. Outside, you will find access to the super pass through storage on either side, and much more. Please call 587-583-5822 to view. This Unit is Brand New. 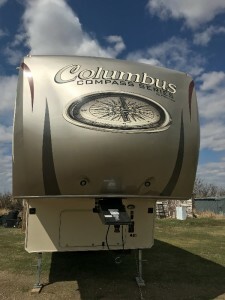 2018 Palomino Columbus Compass Series 298RLC Fifthwheel. Color: Newport. 12V Deep Cycle Battery. Chestnut Cherry Wood. Wood Flooring. Compass Package: Full System Water Purifier, 50 inch LED TV, Battery Disconnect, Sound Bar, AM/FM/iPOD/CD Player with Two Exterior Speakers, Cherry Hardwood Slide-Out Facia, Two-Tone Aluminum Wheels, G Rated Tires, 12V Heat Pads on All Tanks, LED Awning Lights, Syphon 360 Vent Covers, Four Step Entry, Friction Hinge Entry Door, Go Power Solar Prep, Pull Down Faucet. MorRyde Step Above Entry Steps. Electric Fireplace. Serta Destination Series Mattress. 20 cu ft Residential Refer w/Inverter. Kitchen MaxxAir Vent with Rain Hood Cover. Coleman Low Profile 13,500 BTU Bedroom AC. Metal Wrapped Awning. Keyless Entry Door Lock. Please call 306-430-4056 to view.